Senn Dunn Insurance: Is That Auto Accident Staged? Here's How to Tell. 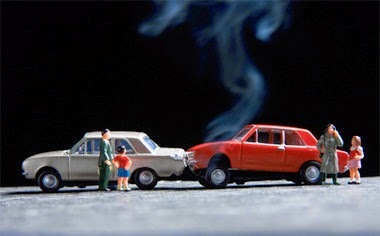 Is That Auto Accident Staged? Here's How to Tell. A claimant needs some extra cash and decides that insurance fraud is the answer, so he stages a collision or just enhances the damage to his car caused by an actual impact and tries to cash in on the loss. But how can you tell the difference? You get a report for the umpteenth time today about a claim that your insureds have sustained damage to their vehicle. But something about this claim makes you think twice about it. Whether it is because the damage was allegedly from a “phantom” vehicle, or because the parties involved have recently filed a similar claim, or because the photographs do not seem to match the description; whatever the reason, this one makes you suspicious. But there is damage and there is no claim of any injury, so what can you do? Pay the claim or investigate it further? If you want to investigate further, who can help and what will it cost?